FREE for first 100 sign ups! 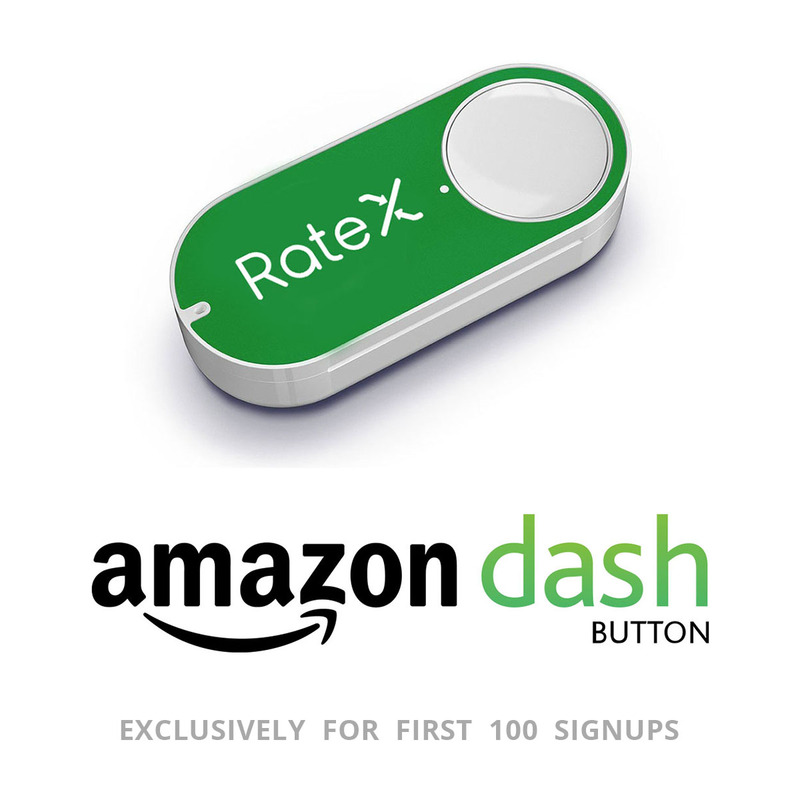 RateX Dash Button is now available. Introducing RateX Dash – the IoT device where you can purchase your favourite items on Amazon with the best rate with just one click. Anytime, anywhere. Hurry, RateX Dash is only available for the first 100 sign-ups!! 1. WiFi function – enabling you to shop on your mobile, and send purchases to RateX and Amazon. 2. Voice function – allowing you to make free voice calls via the built-in voice recognition feature. 3. iPhone / Android Camera Remote Control – take better selfies by simply pressing RateX Dash Button. 4. Amazon Dash – RateX Dash Integration: Get an Amazon Dash Button and reorder your items the next time without any transaction fee plus at the lowest price. Our users loved it and we know you will, too. We’ve worked hard with Amazon to make this happen just for you! RateX Dash is only available from now until April 9th 2017 (limited to first 100 sign ups – while stocks last). RateX Dash ships within 24 hours. Sign up now to get RateX Dash for free.